Call us at (410.573.1436) with any questions to understand how virtual visits will work best for you. Virtual visits are great for a variety of care needs but should not be used in an emergency. Find an appointment online or ask your usual provider to make your next visit virtual. Make sure you are ready for your visit by installing the myPrivia app or Google Chrome. When is it appropriate to schedule a virtual visit? 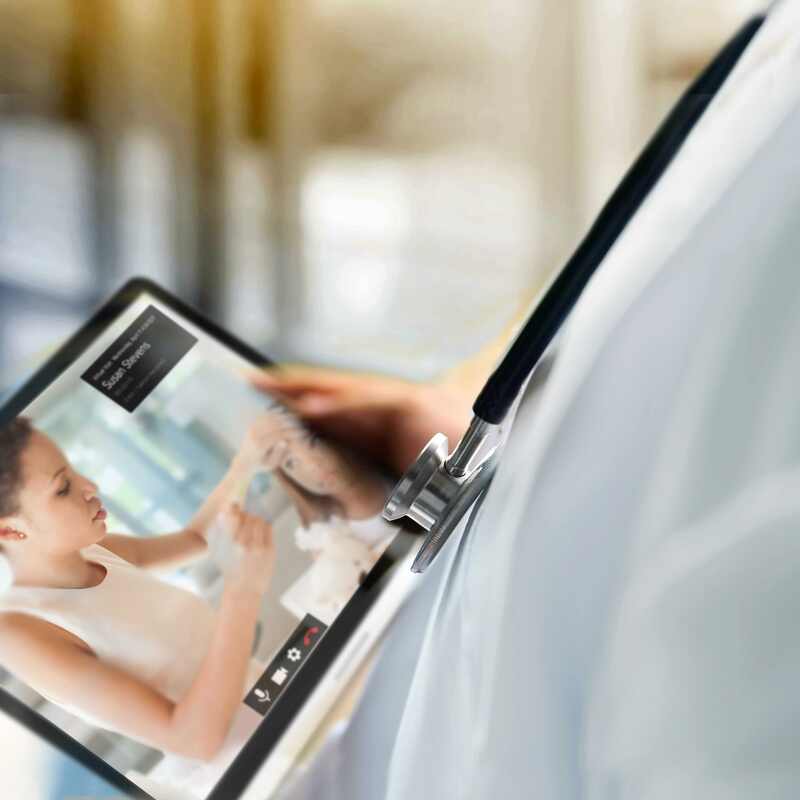 Virtual visits are appropriate for a variety of care needs, including urgent care, routine follow-up visits, chronic disease management, medication management, reviewing test or lab results, and lifestyle coaching. Common illnesses including sinus problems, respiratory infections, allergies, cold and flu symptoms and many other non-emergency illnesses can be treated virtually. Contact your doctor to understand how virtual visits will work best for you. What do I need for a virtual visit? There are a couple technological requirements we suggest to ensure you have a seamless experience. Make sure you are using a device with a webcam, microphone and strong internet connection, such as a laptop, mobile phone or tablet. For the optimal experience, use the Google Chrome web browser on your laptop or desktop computer. If using a mobile device or tablet, download the myPrivia mobile app in the Apple or Google Play app store. You will receive an email before your appointment to complete the required check-in steps. You must check-in in advance of your visit. Click "Start My Check-In" from your check-in email reminder. You will be guided through a technology check, consent form collection, insurance confirmation, and payment of your copay. After completing the check-in process you are ready for your visit! If your visit is starting soon you will be able to go directly into a virtual waiting room. Otherwise, you will receive another email with the link to join your virtual visit. Click "Start My Virtual Visit" ten minutes before you are scheduled to meet with your provider. You will see a virtual waiting room. Once your provider is available, you will hear an alert noise and the "Join Visit" button will become active for you to click on and connect with your provider. 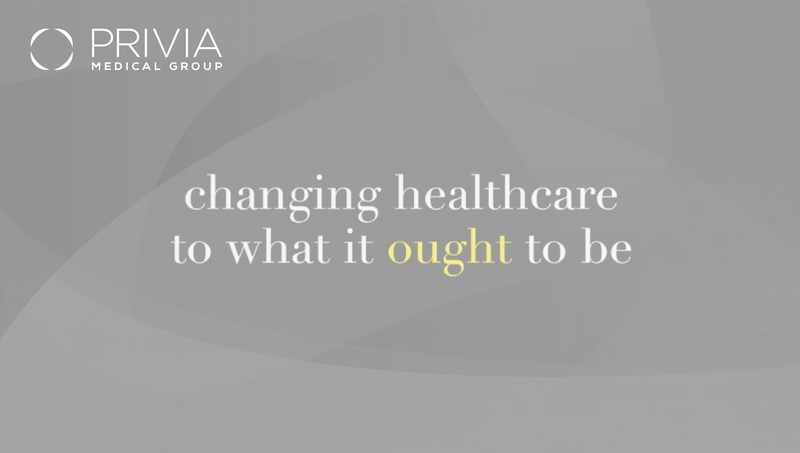 Within moments, your provider will be visible to you on the screen and you may begin your virtual visit. Once finished, both you and your provider will end the virtual visit. Any next steps of care that you and your provider discussed will be inputted securely into your medical record and will be carried out, per your provider's instructions. You will be prompted to fill out a survey about your experience. Most commercial insurance plans cover virtual visits just as they would an in-office visit with your doctor, but speak with your insurer to confirm. In advance of the visit you will receive an email to check-in through a secure online platform. As with any office visit, we will collect the normal copay amount during the check-in process. After your virtual visit we will submit a claim to your insurance carrier for full payment. If the service is not covered by your insurance, we will work with you to set up an affordable payment plan. Remember to use a device with a webcam, microphone and strong internet connection, such as a laptop, mobile phone or tablet. For the optimal experience, use the Google Chrome web browser on your laptop or desktop computer. If using a mobile device or tablet, download the myPrivia mobile app in the Apple or Google Play app store. If prompted by your device, be sure to 'allow' the technology access to your webcam and microphone. Poor video quality is usually caused by a slow internet connection. You will need an absolute minimum internet connection of 20 mbps to do a virtual doctor’s visit. To test your internet connection speed, visit speedtest.net and press Go. If the test says your speed is under 20 mbps and you’re using wifi, try using a wired internet connection or restarting your router. We will send a message to the email account you have on file with our office. Be sure to complete the check in steps as prompted by the email. If you cannot locate your email contact our office and we will be able to send you another virtual visit link. Once we are ready to see you the "Join Visit" button will become active and you will hear a chime. You can then click on the button and connect through the virtual visit platform. As health care providers we try our best to stay on time but in some cases we do run late. We appreciate your patience and will try to see you as soon as possible. Please review the common issues outlined above. If this information does not address your needs reach out to our office. We will do our best to help address any issues in advance of your visit. We view the treatment of chronic pelvic pain and chronic vulvar disorders as a collaboration between the patient and their provider. Come visit our office in Annapolis.